Besides monetary, organ donation is considered a bliss supreme as the needy gets a new lease of life. Kidney Transplant is a complicated procedure and the biggest factor is the donation being made legally. Forerunners Healthcare Consultants ensure a legal procedure under the best surgeons, at affordable rates. All you have to do is send us a query and we will take care of the rest. Qualified panel : Forerunners Healthcare Consultants has association with highly-efficient surgeons and doctors, a prerequisite in treating any medical condition. Primary facilities : We offer assistance in arranging medical visa, accommodation for the patient and family, meals, appointment with surgeon. Cost-friendly : Financial aspects affect medical treatments in a huge way, and we offer budget friendly packages from the best kidney hospitals in the world. Ethical : Kidney Transplant in India through the Forerunners Healthcare Consultants ensures utmost care in maintaining quality and ethics while serving a patient. I am Emmanuel Jackson from Nigeria. 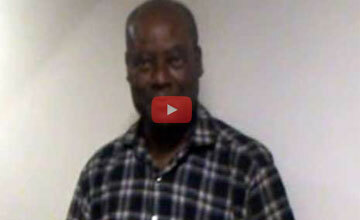 My father needed urgent kidney transplant. Nigeria lacks in good healthcare facilities and so we searched for options abroad and found Forerunners Healthcare Consultants. We followed the procedure and reached Mumbai, India. My father received the best treatment. We are thankful to the Forerunners team. 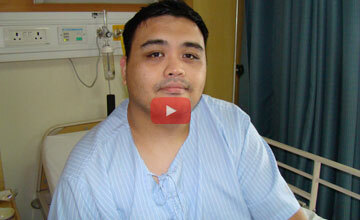 Kidney transplant is performed in patient with end-stage kidney disease. End-stage kidney failure is caused by diabetes, chronic Blood Pressure and Chronic Glomerulonephritis. Kidney transplantation is also known as Renal Transplantation. A kidney removes excess fluid and waste from your blood and when kidneys lose their filtering ability, dangerous levels of fluid and waste accumulates in your body — a condition known as kidney failure. A kidney transplant is remains the only option in such situations. Kidney transplants are one of the most common transplant operations. 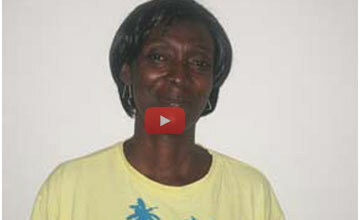 Only one donated kidney is needed to replace two failed kidneys. Kidney transplantation is the preferred treatment for most patients with end stage renal disease (ESRD), regardless of the cause of their kidney failure. Any individual with ESRD is a potential transplant candidate. You do not have to be on dialysis to be evaluated for or receive a transplant. Kidney transplant candidates must have adequate heart-lung function and can't have other medical conditions that severely limit life expectancy. You'll work closely with the transplant team to increase the benefit of and reduce the risk of transplant. Since transplant requires a lifelong commitment to taking medication and to having regular physician contact, patients also must understand and be willing to accept this responsibility. Who is the Not a Candidate for Kidney Transplantation? Who are Donors for Kidney Transplantation? Living donors: Living donors are usually immediate family members or sometimes spouses. Deceased/ Cadaveric donors: Deceased donor kidneys usually come from people who have willed their kidneys before their death by signing organ donor cards. The top hospitals for Kidney Transplant surgery in India are equipped with state of the art diagnostics to provide a wide range of cancer treatments. Our best doctors for Kidney Transplant Surgeons in India will evaluate and discuss the findings to chart out the optimal plan of prostate cancer treatment for each patient based on established national and international guidelines and protocols. Our associated hospitals are located at Delhi, Chennai, Mumbai, Nagpur, Pune, Kochi, Jaipur, Chandigarh, Kochi, Goa, Bangalore, Noida, Gurgaon, Hyderabad, Ahmedabad, Kerala, etc. What are the Preparation for Kidney Transplantation? The patient has to follow diet advised by the transplant team. Patient should refrain from alcohol and smoking. Transplant team may recommend an exercise program to keep patient’s weight in check. Certain medicines may be prescribed before the transplant. What are the Evaluation and Tests for Kidney Transplantation? Heart tests such as an EKG, echocardiogram, etc. How is Kidney Transplantation Procedure done? People receiving a kidney transplant are given general anesthesia before surgery. 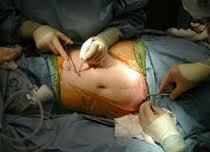 The surgeon makes a cut in the lower abdomen area. Surgeon places the new kidney inside the lower abdomen. The artery and vein of the new kidney are connected to the artery and vein in the pelvis. Ureter is then attached to the bladder. Patient’s own kidneys are left in place, unless they cause, high blood pressure, infections, or are too large for the body. The wound is then closed. Kidney transplant surgery takes about 3 hours. People with diabetes may also have a pancreas transplant done at the same time which usually adds another 3 hours to the surgery. What are Types of Kidney Transplantation Surgery? 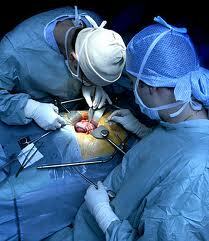 One of the Benefits of Kidney Transplant Surgery in India is it offer many types of transplants. A nephrectomy is the surgical term for the removal of a kidney. A healthy kidney intended for donation is normally removed by one of the two procedures. Laparoscopic Nephrectomy - A laparoscopic nephrectomy is performed under a general anaesthetic. Three or four small abdominal incisions are made in the abdomen to provide access for surgical instruments that are used to detach the kidney and to ligate the blood vessels. The intact kidney is enclosed in a bag and removed through an incision or it may be placed in an impermeable sack, morcellated and removed through one of the port sites. Laparoscopic Nephrectomy provides patients with a safe and effective way to remove a diseased or cancerous kidney. Laparoscopic nephrectomy is a minimally invasive technique, which provides patients with less discomfort and equivalent results when compared to the larger incision required with traditional open surgery. Open Nephrectomy - In a traditional, open nephrectomy, the kidney donor is administered general anesthesia and a 6–10 in (15.2–25.4 cm) incision through several layers of muscle is made on the side or front of the abdomen. The blood vessels connecting the kidney to the donor are cut and clamped, and the ureter is also cut between the bladder and kidney and clamped. Depending on the type of nephrectomy procedure being performed, the ureter, adrenal gland, and/or surrounding tissue may also be cut. The kidney is removed and the vessels and ureter are then tied off and the incision is sutured (sewn up). The surgical procedure can take up to three hours, depending on the type of nephrectomy being performed. What Follow Up Care to be taken Post Kidney Transplantation? Patient will be taught about measuring blood pressure, temperature, and urine output at home. In the first few weeks after leaving the hospital, the transplant team will review the patient, perform blood tests, and adjust medication doses. You must keep follow-up appointments with your transplant team to monitor for signs of rejection. In the follow up appointments, the transplant team will conduct regular blood and urine tests to detect any signs of organ failure. One or more ultrasounds of the graft kidney may be done to see if there are structural abnormalities suggesting rejection. An arteriogram or nuclear medicine scan may be needed to confirm that blood is flowing to the transplanted kidney. What is Kidney Transplantation Rejection? Unfortunately, when the immune system sees a newly transplanted organ as a foreign object that could be harmful to you, it attempts to rid your body of it. This is called as rejection. The immune system may reject the transplanted kidney. For this reason, patient must stay aware of warning signs and symptoms of rejection. Hypertension, Swelling or puffiness usually in the arms, legs, or face, decreased urine output, fever, abdominal pain, etc. The patient must contact the transplant team immediately if any of these symptoms develop. The anti rejection drugs taken after surgery help prevent rejection. This is called immunosuppressive therapy. These drugs weaken the immune system to allow your body to accept the transplanted organ. If the patient is taking immunosuppressant drugs he is regularly screened for infection, high blood pressure, diabetes, cancer, etc. What are Advantages of Kidney Transplantation? 3-year graft survival rate after transplantation is almost 80%. What are Disadvantages of Kidney Transplantation? Problems breathing, Reactions to medications, wound infection, etc. are some of the disadvantages and side-effects associated with kidney transplantation. Why prefer India for Kidney Transplantation? Kidney Transplantation in India is performed through cutting - edge clinical solutions, research, extraordinary patient care and infrastructure of world-class standards. This has addressed concerns of many patients and has helped them get rid of complex and most end stage kidney diseases. Kidney transplant is a complex surgical exercise and need highly skilled consultants, ingenious technical staff and advanced technology working with perfect harmony, enormous dedication and team work. India offers a one stop solution for all those seeking critical procedures such as kidney transplantation providing the best kidney transplant hospitals in world with kidney transplant specialists. Low cost kidney transplant in India with the kidney reaching the last stage of illness has become a trademark for both domestic and international patients. More and more number of patients are seeking a flawless treatment for kidney failures and looking for perfect kidney transplant. With Forerunners Healthcare providing innovative medical technologies with the highest quality of services in the top most hospitals of India, many patients have survived the transplant and are living a life full of health. And so do me, even after 5 years of the surgery. Thanks Forerunner. The list of TOP 15 countries from where the Kidney Transplant Surgery patients travelling to India is given below. The major reason of large number of patients travelling to India for Kidney Transplant Surgery from these countries is because of availability of best kidney transplant hospitals in India, affordable prices strategic connectivity, food, tourism options, zero language barrier and many other reasons. The cost of the Kidney Transplant Surgery in various countries in the chart / table is given below. The price comparison is given in USD. *The price for the Kidney Transplant Surgery is an average collected from the 15 Best corporate hospitals and Best 5 Kidney Transplant Specialist in India. *The final prices offered to the patients is based on their medical reports and is dependent on the current medical condition of the patient, type of room, type of surgery, hospital brand and the surgeons expertise surgeon's expertise. 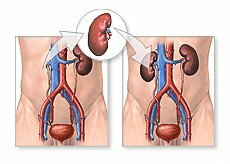 How to get Low Cost Kidney Transplant Surgery in India? We have worked out special packages of the Kidney Transplant Surgery for our Indian and International patients. You can send us your medical reports to avail the benefits of these special packages. You would be provided with 3 TOP RECOMMENDED SURGEONS / HOSPITALS FOR YOUR KIDNEY TRANSPLANT SURGERY in India. How many International Kidney Transplant Surgery patients came to India? 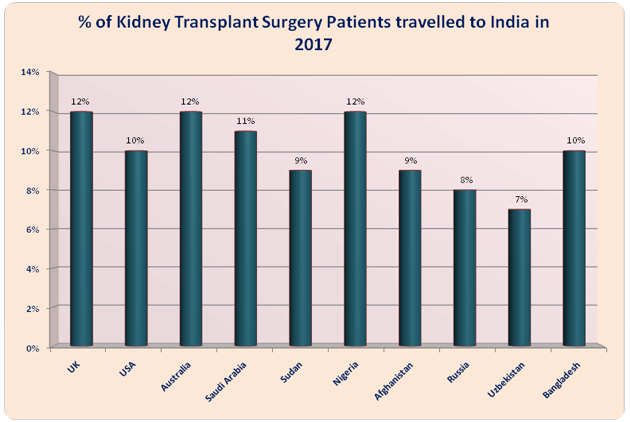 Here are the approximate Kidney Transplant Surgery Statistics in India of the patients coming from Top 10 countries to India in 2017 for Kidney Transplant Surgery. 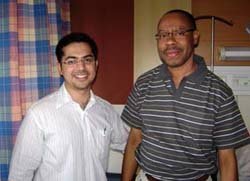 ARE YOU ALSO A PATIENT WANTING TO TRAVEL TO INDIA FOR KIDNEY TRANSPLANT SURGERY? Our International Patient Executive would connect with you and answer all that you need to plan your Kidney Transplant Surgery in India. 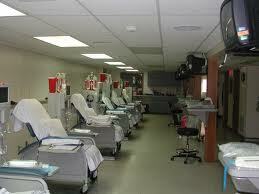 Which is the Best Hospital for Kidney Transplantation in India? India has a number of world-class hospitals performing successful kidney transplantations. 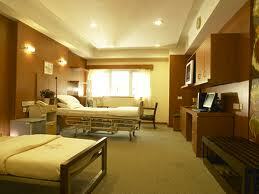 Send us your medical report and we will choose the best hospital after consulting medical experts. One needs Kidney Transplant after a kidney failure due to high blood pressure, Diabetes mellitus, Kidney stones, Inherited kidney disease etc. Visit our website to know in detail about necessity of Kidney Transplant. 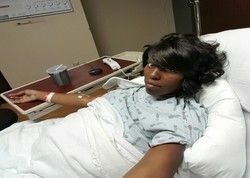 What is the process for determining whether I can donate a kidney? Your wait for getting a kidney cannot be promised in days, as an entire procedure has to be followed before transplantation. Send us your medical report to determine the procedure. Can I resume normal activities after the transplant? Yes. In fact, kidney patients feel more energized and capable of performing daily functions. You should however strictly follow the guidelines of the doctor.